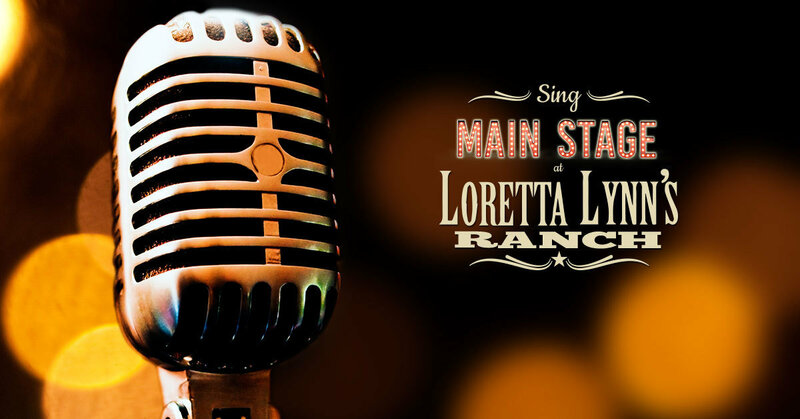 Sing Main Stage at Loretta Lynn's Ranch and win a recording package!! Date: August 30 - 8:00am-12:00pm. Location: Loretta Lynn's Ranch 8000 Highway 13 South Hurricane Mills, Tennessee 37078.